This post truly spoke to me. I do have a hard time listening which I do need to improve. Sometimes I’m thinking to much, multitasking to much, or may be talking to much I failed to receive the actual message. Never too late to begin improving though. Thank you. All the best to you and your family. I was having issues with someone and realized that I had stopped really listening to her and took everything she said as a criticism. I had to change my mindset and force myself to have an open mind when talking to her, so I understand where you are coming from. What you did in terms of changing your mindset came from the awareness that you had put aspects of your past experiences and judgment as a filter in between what the other person was saying and what was landing for you. Holding such an awareness is really the key to mindset change and how things occurs for us. As the occurring changes, so do our thoughts and actions that flow from that. So, well done! Thank you for taking the time out to stop by and comment. What a wonderful and all -encompassing comment and perspective! I doubt if it could have been better put! Your comment deserves to be a post in itself and I do hope other readers feel enriched by reading it, the way I have. Thank you so much for taking the time to write and post, I truly appreciate. I experience the Already-Always Listening the most with family members. The end result is to stifle growth and satisfaction in those relationships because I am not allowing those people (or myself) to mature and change. Thanks for the reminder that we can set the tone for success or setbacks. So have you tried to find out what is it that makes you get into a “Already-Always Listening” mode with family members? Is this because of the familiarity you hold about them? Or is it because of over-attachment? Or something else? As you unearth the core of your behaviour, you are sure to gain access to changing it. As you do that, how would you see the quality of your relationships? Thank you for a great comment. I appreciate. Brilliant post…too many times I have allowed preconceived ideas run rampant in my mind, and hindering the decision made. Furthermore, I see it in a company I work with (and want to succeed), how there is a certain amount of ‘group-think’ that has taken place with upper-management and the ideas of some of their young talent goes to waste. Thank you, that’s a great comment. I am curious to know some more more about your company, specially about what you mention about your upper management ‘group think’. My sense is that since the perspective is being held by a group, could it be based on some additional information that they know or the company future plans they are unable to disseminate to the team and thereby failing to implement? Could it also be to to differing personality traits with the management being excessively task focused and failing to acknowledge the social and reflective needs of the rest of the team? I suppose in this case, the executive group becomes comfortable with each other after working together for so long ~ and in a sense becomes comfortable with their work and decision making process. 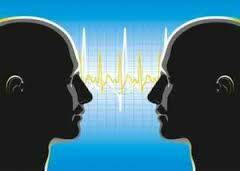 They listen to each other, and almost always with agreement…thus missing true constructive thinking. They do not listen to the subtle changes in the market (or company), and grow deaf to opinions/thoughts from people outside this group, and people outside this group is often where the real market information should be derived. That is indeed a great insight and I acknowledge for being able to see it. Living in the me generation of selfies and self promotion I find it’s easy to get lost in ourselves and to stop listening with an open mind and open heart. I find that yoga helps keep me grounded, as does thought provoking posts such as this one! Thank you Robin. Delighted to know that you liked the post. Indeed, retaining the awareness that our ‘Already- Always listening’ creates that prejudging wall between the other person and us, limiting our ability to truly see and listen all that is being communicated and thereby constraining possibilities for us, can be wonderfully liberating and empowering. The beautiful thing is that you are willing to examine your actions and change. Others are less flexible and I believe they really miss out on making good connections. I believe that you can learn something from every one. Chances are, the only way someone can change how he or she is perceived is to move on because some only carry that first impression around with them. Sad. I vowed never to be that person. I agree with you. While I love words/language, it is so easy to misinterpret meaning. That can only improve when we really listen to one another. The willingness to examine one’s actions and change can happen only when one becomes aware as an observer. I have found a good access to do that is by considering yourself as a ‘Clearing’ where your entire world, your relationships. others and you yourself occur. As we build our muscle to do this, we loosen the attachment to the predictable reactions of the person we have wound up becoming. Thank you for a lovely comment. I appreciate. I think these are two of the most difficult things to set aside when practicing mindfulness: preconceptions and judgments. Yet it is the goal of mindfulness to simply receive another in that moment, remaining open to ‘whatever comes.’ If I was in a corporate situation with all the pressures from the heirarchy, it would be far more difficult than it is in my simple island life. Aloha, Shakti. You are absolutely right. Our ‘Already-always listening and interpreting’ are part of the many perceptual constraints that we hold. This then becomes a lens held in front of us, distorting, shaping and even blanking out aspects which are being communicated to us. So clearly, these detract from mindfulness which in fact, if practiced, builds our muscles to fight perceptual constraints. And Bela, this really has little to do with being in a corporate situation or otherwise.It is really all about who who we are wound up being. Blessings and thank you for your presence here. I remember the first time I realized I didn’t interpret the spoken word as others around me did–and that mattered. The first part I could easily ascribe to my ‘superiority’ (perceived, of course), but when I understood that life was about perception, not reality, well, that was a game-changer. And that, I am sure, would have been a transformative realization, Dear Jacqui. Once we realize how life occurs for us is really based on our perceptions and how that shapes and distorts what we hear, we see and we interpret, we start gaining back control in terms of how we could respond and how indeed more possibilities exist beyond what we might be considering. That’s a valuable insight, Jacqui, thank you for bringing it up here. Thank you for bringing in the aspect of ‘already-always seeing’. Indeed this is very relevant and controlled experiments have in fact found that what we see is really a function of ( as you say) what we want to see or what we have been’told’ to see.This ‘telling’ could also be through the lens of a context that we might be holding for an unfolding situation. Yes, our ‘Already-always’ occurring , be it through listening, seeing or interpreting does get shaped by our ego. You have also brought in a second variable of ‘capacity’. But what really is capacity? We can hold differential levels of capacity for different situations and times. To me this really becomes a function of how something occurs for us. It is this occurring that influences and shapes our thoughts and consequently actions. As we realise this, we also gain access to how we could change the occurring for us as also others and thereby change the thoughts, actions and thereby capacity. Dear Rajagopal, I truly appreciate your taking the time to comment here and join the discussions. Many thanks for this eloquent and insightful article Shakti; I greatly appreciate the manner in which you have woven anecdote into your philosophical musings. Learning is always more effectively realised when applied in direct experience, and of this I am sure you would agree. “What is it that sustains such Already-Always listening and the related interpretations within us?” You have, of course, answered this question yourself already; though if I may, I can offer an additional perspective which may add further texture to your fine and lucid points. You say, in essence, that it is a deficiency in our awareness that blocks our seeing of what is going on here. We misinterpret the concepts projected out of one mind and reformulate them in our own, and after our own proclivities. Yet what are these proclivities? In such instances, I think it’s fair to say, our tendencies to seek out certainty and exert control come into play. In your first anecdote, the thinking here issues from a desire to have the Middle East markets perform in accord with projected certainties; in other words, they should perform according to expectations, yet the budgets don’t correspond with the actuality of that region, and so the attempt at projecting certainty is demonstrated to be fallacious in nature. Distress arises when the actuality fails to accord with the projected certainty, and also when the attempt at exerting control fails. In your second anecdote, the certainty finds its place in the expectations as to the competitors capabilities, all of which certainties are based on now redundant knowledge – his former scholastic achievements. The control comes in seeking to oppose the potential undermining that the situation holds. In your third anecdote, there is certainty of your own leadership capabilities as compared to those of your former junior colleague. Also, there is certainty that your age and experience imbue you with this assumed superiority. The control comes in seeking to oppose what is apparent through trying to think of ways that your former colleagues arguments can be dismantled. With gratitude and respect to you Shakti. So what is the Certainty we seek? And what makes us seek it? I believe we seek a ‘Certainty’ which fits into the model of reality that we have created for ourself about everything we see out there, our past learnings and experiences, our relationships with everything out there, animate and inanimate, and our perspective of the future. And the reason we seek such a certainty is because since it fits in with all we perceive, into our ‘Wall of bricks’ so to speak; it allows the comfort of the known vis- a vis the discomfort of the unknown. And of course, what we ‘Know’ and feel comfortable about, we tend to control. So, as I see your perspective of Certainty and Control in this manner, I am also able to fit it in into my own “Wall of Bricks” relating to ‘Already-always listening’. Thank you for this great discussion and allowing me to think in this manner. I truly appreciate. Thank you Shakti; and yes, projecting ‘certainty’ and attempting to exert ‘control’ are largely attempts the pattern-seeking mind makes in order to resolve it’s own understandings and workload as it navigates the entire mind/body system securely through life. In developing awareness, we may come to see this with a healthy perspective – a kind of aerial view – which can still utilise these functions whilst at the same time understanding their limitations, vulnerability and level of appropriateness. All best wishes to you Shakti. I agree Hariod. Thank you for participating here in this great discussion. Great Post Shakti.. And it is so easy to get caught up with the Always Listening selves.. We often fail to understand how our minds have become trained into narrow roads of thinking, as we judge with preconceived ideas of our expectations..
Often those expectations are drilled into us from early childhood… We have to be top of our tree in order to succeed.. We need to buckle down and work hard to get to the top.. And No one can do a job better than we can, and apportioning blame when things slide out of our control. Our Ego tells us that we are right, and if by our conditioning we are brought up to feel superior, then others who fail to meet our expectations are deemed inferior and we treat them accordingly. Often we do it without even realising it. I commend you, as You answered your own faults in failing to listen to your ex colleague as you said “And in the final case, rather than gaining insight from my ex-colleague’s presentation, I had closed my mind to much else except look for logic to make him wrong in my own perception.”..
Often we do not LISTEN at all to what others are saying.. We are too busy listening to our Egotistical selves.. So we do close our minds.. Yes I too have been guilty.. When I was in training in Textiles.. Its not until you realise that by Listening to Others ideas, problems, and ideas, that you find solutions much faster.. Co-operation and learning to pool knowledge rather than think we ‘Know it all’ works wonders.. When we learn to stop putting labels upon each other and judging a book by its cover rather than its contents then we are moving forward slightly.. But we have been so indoctrinated in being self opinionated that I think we still have a long long way to go Shakti before we learn to co-operate fully, and share knowledge instead of competing.. We think and measure success by Profits.. We think by holding tight information, ideas, patents, etc we will succeed where others will fail.. IF this world is to succeed at all .. We have to learn than this method of thinking has to change.. We will see that our Profits, Business’s, which revolves around monetary gain.. Our Banking systems revolve around monetary gain.. Our supermarkets revolve around monetary gain.. Stocks Shares, all about success or failure..All of these will mean nothing..
For the real Value in life we are ignoring.. We are ignoring the value of other Human Beings as we exploit and cause suffering… We allow our Ego self to dominate our head thinking, And we have failed to listen to Hearts..
Bless you my friend, and sorry again for allowing my heart to rule my head as I allow my thoughts to come to your page..
As always, your comment is so all inclusive that it befits to be a separate post in its own right.You are so right; it is our preconceived notions, judgments and the way we have ‘wound up being’ that so puts us onto our set, predictable and reactive ways of thinking. So much so that rational and better thoughts and responses no longer occur for us. I love that sentence of yours, and I quote, “…IF this world is to succeed at all .. We have to learn than this method of thinking has to change”. So how and where we need to start. I believe it needs to be with our own selves. As Mahatma Gandhi had said, “Be the change that you wish to see in the world”.To remain steadfast with this aspect, we need to bring to bear our mental muscle to embrace the foundational blocks of Integrity, Authenticity, embracing something bigger than oneself and be the change in the matter. How could we enthuse those around us in this regard? Thank you and with blessings to you too Sue! That’s a great suggestion. Let’s do it! Looking back, I’ve encountered similar situations. I’ve felt the frustration of my ideas being ignored (or submitted under someone else’s name!) I’ve also missed opportunities to learn from those who I believed couldn’t possibly know more than me. It’s good to practice recognizing this and to keep an open mind. We only become better when we learn, regardless of the source. So true. Do you see that as we practice such recognition, we start gaining access to what is fuelling our ‘Already-always listening’ and then doing something about that? That is sure to shift us away from ‘Reacting’ to ‘Responding’. Thank you for taking the time to comment. I appreciate. Thank you so much for your very thought-provoking comment. I truly appreciate. That’s a great perspective VK.Indeed, over time , we tend to jettison ‘simplicity’ seeing it as a poor option as we are conditioned to “Overthink our world” as you have pointed out. I am sometimes left wondering as to who is the controller. Do we control our thoughts or do our thoughts control us? Your concluding line brings to mind that famous poem by Robert Frost. I leave you to enjoy the purity and blessings of a lovely winter. Next Next post: Whose Business are we really in?